From Catholic News Service comes the following video of the Holy Father being “prayed over” by “Charismatic Catholics” at their gathering in Rome. My opinion: In that stadium were thousands of people (clerics of all ranks included) who, for the most part, are victims of the crisis. The majority are not active in the neo-modernist rebellion that made this nonsense possible; they simply don’t know any better. Their Holy Mother, such as she is content to allow her children to be fed via a sacred hierarchy comprised of weak and sinful men, has handed them stones in place of the bread that was given to their forebears. This, my friends, is a diabolical deception if ever there was one. Dubia: Are you prepared for the answers? That you be not easily moved from your sense, nor be terrified, neither by spirit, nor by word, nor by epistle, as sent from us, as if the day of the Lord were at hand. Who opposeth, and is lifted up above all that is called God, or that is worshipped, so that he sitteth in the temple of God, shewing himself as if he were God. Remember you not, that when I was yet with you, I told you these things? And now you know what withholdeth, that he may be revealed in his time. For the mystery of iniquity already worketh; only that he who now holdeth, do hold, until he be taken out of the way. That all may be judged who have not believed the truth, but have consented to iniquity. Was that the warm up act for U2? Protestants are so much better at this whole “charismatic” thing. How much more humble can you get? Where were the balloons? Maybe in the other part of the video? Was this part of a Mass? Where did they get that “new age” space music? “Feel good” for a day and then… the search for the next high… just like a junkie. Where were they hiding the golden calf? Priests need not apply… ministers will do just fine. So this is what the new Vatican II religion really looks like. 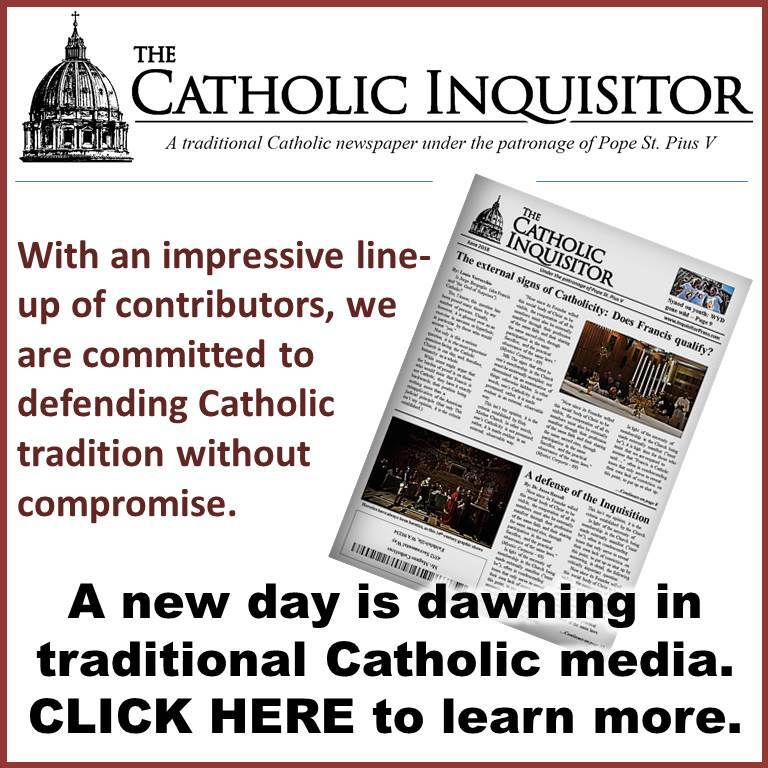 Bergoglio really hates tradition — that is to say everything truly Catholic. No disrespect, but I would have walked right out of there. Did I detect a sourpuss face? How many saints are crying in the Church Triumphant? No wonder Our Lady is so sad. At times like these we must console Jesus. 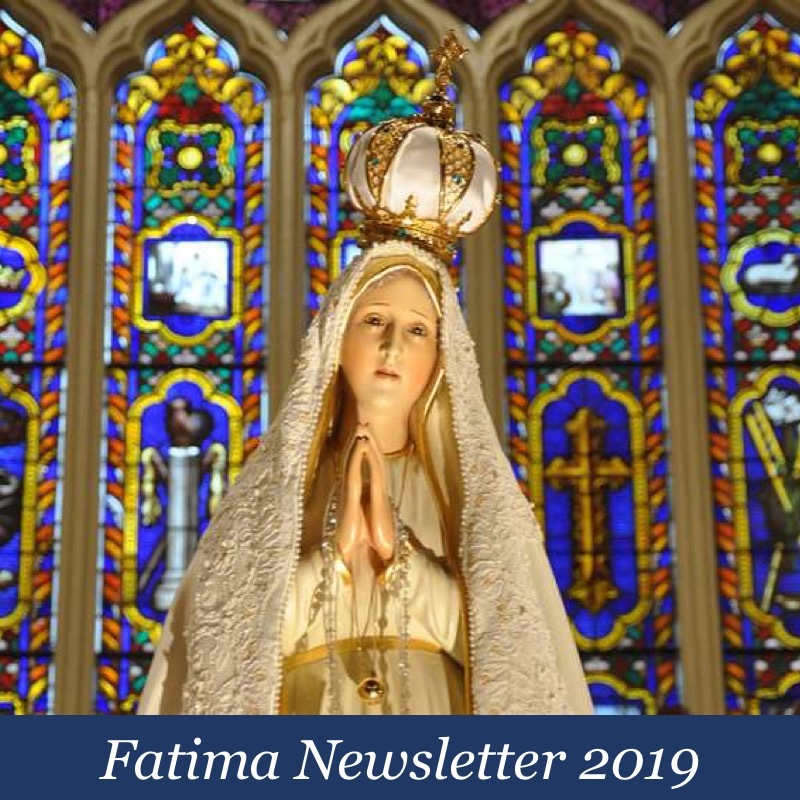 Blessed Francis of Fatima, pray for us. Indeed. Which is precisely one of the reasons why Hispanics are leaving the church in droves – to be able to experience and live the “real thing”: protestantism, not some cheap imitation of it – the Vatican II religion. Which is why, no doubt, Cardinal Suenens was a big promoter of the charismatic practices. One must, after all, infect the Church with as many non-Catholic viruses as possible, if one is to re-make it according to the dictates of Freemasonry. Sadly, Pope Francis the Red-Nosed is a major carrier of these viruses, as he himself is completely infected with them. We have avoided charismatic events and the movement in general because our experiences with it almost 40 years ago, left us with concerns for the spiritual safety of its practitioners-that opening ourselves to the indwelling of a spirit, no matter how sincere we were, might result in inadvertently interacting with the occult. There were no real safeguards in place, or enough discernment for prophecies to determine if they were from God, and we didn’t know our Faith well enough, so we removed ourselves from it. We did find the people involved in it, to be genuinely simple seekers of truth, and most often Faithful Catholics, and things may have changed drastically since then. We aren’t talking about the Mass here, but simply prayer meetings which they believe imitate the Apostles with Mary in the upper room. This blog didn’t give us enough to go on, to understand the enthusiasm behind all the ridicule and bashing of those who commented, and we would like to understand. Also, how can anyone be sure God is not involved in this type of prayer, and you are not blaspheming the Holy Spirit by attributing it to the Devil? With all due respect, we couldn’t see anything in the video other than lots of people in a stadium, praying for the holy father with music playing. It wasn’t in a Church, so what is really wrong with it?. But since we read so often in scripture of the Holy Spirit working that way with the Apostles, and Jesus said that those who believe would do even greater works than He did, even drinking poison with no evil effects, is it right to ridicule the charismatic movement as a whole, and label it as a great deceit or all its members as dupes? Do you not see a clear contradiction here? Sorry, we don’t see you’re point. There is a big difference between using due caution to avoid the possibility of interacting with something you think may become a tool of the devil without your knowing it, and reaching a certainty that it actually has become that, without any evidence. As you all seem to believe the movement is evil, we were just wondering what led you to conclude that. Salvemur’s comment and video are about things we never experienced, and we agree they appear to be right out of Hell. But St. Paul spoke of praying in tongues and the room shaking while they prayed, and those things also seem very strange to us. So are there not possibly holy charismatics and unholy ones as well? It still doesn’t seem worth the risk to us, to belong to a group-even a tame one that simply prays in that way, but we have wondered why things like the gift to heal have seemed to disappear except for in very rare occurrences or Saints like Padre Pio. Does that clear it up for you? . What is prudently avoided for fear of being evil, can rightly be called evil. 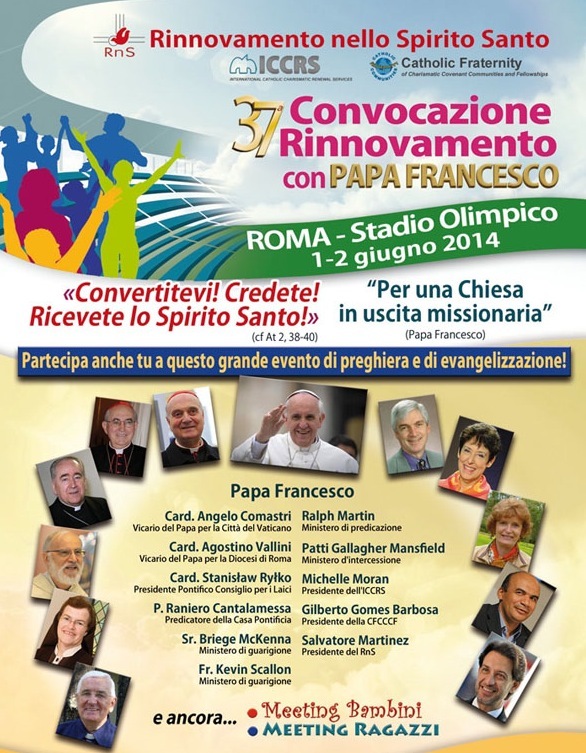 The charismatic movement is one of those novelties and rotten fruits to emanate out of Vatican II. In its most virulent forms, the charismatic movement has blossomed into full blown-heresy, such as the Neo-Catechumenal Way of charlatan Kiko Arguello, which despises and ridicules as barbaric the idea of the mass as the perpetuation of the sacrifice of Christ on calvary, among other heresies they hold. As to the “gift of [unintelligible] tongues” that you allude to, pre-Vatican II theology manuals would point that as a SIGN of DEMONIC posession in a person, not that the Holy Ghost is dwelling within that soul. I asked for reasons for your conclusions, and you gave me more blanket conclusions…rotten apples etc. Pre Vatican II manuals –would that include the Sacred Scriptures such as Acts 2:4,6 10: 19:6 and 1st Corinthians 14.?. St. Paul gave instructions for when the Holy Spirit gifted individuals with tongues, saying they were not the most important gift, but were useful if they built up the community. They Baptized converts and the Bible records them immediately beginning to speak in tongues. You seem determined to dismiss my question about whether there are good charismatic communities, wishing to pronounce all of them evil. That’s your choice and it’s funny that you have me even debating about this, as for most of my life I have been on the opposite end of this discussion. As I said earlier, regarding no evidence, I was referring to our decision being based only on our cautious natures, and was not referring to you as having no evidence. We saw nothing tangible that seemed amiss. Our kids all think we were overprotective parents while they were growing up, and they are likely right. lol. If you are basing your conclusions about post Vatican II evils of charismatic groups on the worst case scenarios, we can accept that as a reason. We agree that if something tends in a bad direction it may be harmful to foster it. But you still have said nothing about the obvious existence of these gifts of the Holy Spirit which were evidenced in the early Church. Surely you don’t think of them as Demonic? As to the charge that we “have no evidence” that the charismatic movement HAS indeed become a tool of the devil (well, how about “by their fruits ye shall know them” for starters) how did you yourself reach the conclusión that a charismatic service “might result in inadvertently interacting with the occult”? Surely you must have had some tangible “evidence” before you reached that firm conclusión? The Gift of Tongues is not babel, it is not most certainly not what occurs amongst charismatics which is what Catholicism would normally recognise as signs of possession. Dear Indignus. As I recall even in the current catechism it says that the time of the extraordinary gifts of the Holy Spirit such as speaking in tongues ended after the last Apostle passed into eternal glory. The most damning criticism that I have heard of the charismatic movement (in a speech by Dr. William Marra) is that it effectively attempts to create a new sacrament. The Church has seven sacraments which have been handed down from Jesus Christ. In these sacraments the Holy Spirit is present. The charismatics through their prayer meetings claim to call down the Holy Spirit, but this is not consistent with the sacramental nature of the Catholic Church. This is a totally protestant idea. Catholics need only go to Mass to have a direct encounter with the Triune God in the Eucharist. So in effect the charismatic movement degrades the Real Presence. Catholic doctrine is like a perfect building — if you take away anything OR ADD anything, the whole structure comes tumbling down. One final thought. Even among protestants the charismatic movement is problematic. Wherever it is introduced it will split the congregation in two between those who follow it and those who oppose it. For example the Southern Baptist have had their share of problems with charismatics which has led to schisms. What’s next? Snake charmers? Where do you draw the line? How about just keeping the Catholic faith as it was handed down to us before Vatican II? There’s not a lot left for me to say if you hold your opinion above that of eminent theologians who have written on the matter of “speaking in tongues” before Vatican II, but I would suggest you have a look at the article I posted below outlining in detail why the charismatic movement is inherently evil and heretical in nature. Thank you for your comments. Edu, what opinion is it you think we are holding above emminet Theologians? All we did was ask a question as to your reasons, on something we were wondering about. We are in no way defending the Charismatic renewal, and in fact, think it has caused more of a split in the church. At the very least it has led to more personal interactions and hand raising at non-charismatic Masses of the N.O., which is more distraction from the Altar. So please understand we are of the same opinion as you apparently are, on this one. We just wondered about the differences between what the Apostles did and now. Michael, thank you for your comments as well, which answered our questions on that point. We do wonder, though, if it’s wise these days to quote the new Cathechism, which contains the statement that the Moslems believe in the same God we do, which directly contradicts all the former teachings of the Church on that subject, making it not the reliable source it could have been..
Not that I think it would happen, but it would be torture for me if any of this was imposed in the mass. I actually started researching tradism because I was sick of holding hands during the Our Father. I am not a touchy-feely kind of guy…so sue me. and that’s exactly where it will end up, whether or not someone prefers to call themselves catholic and attend the sunday happy meal. The Holy Ghost brings order, beauty, clarity, dignity, Truth. Not some shamanic spasm-fest, or wave and sway stupor. the devil must be laughing all the way to the soul bank with this rubbish. John XXIII) went out to meet the world – which flooded in and mixed with the resurgent Modernist heresy from within. Now, some sixty years later, some have grasped what has happened, but the majority have not, or are happy with the result, or are completely incapable of dealing with the emergency. We are in to a disruption as great as the Protestant Reformation. Yes, the Church will survive, as a remnant for some time. That’s all we can say at this stage. Thanks for the link, Edu. “The Catholic Charismatic Movement is a blighted tree bearing poisonous fruit, sown by the Devil among Protestants and transplanted into the Church after Vatican II. The delirium of contemporary Churchmen has watered it, and the lack of an adequate Catholic formation among priests and laity has cleared and tilled the fertile soil in which it has grown. More people eat of its deadly fruit yearly, and the vulnerable young, so eager for the profound knowledge of God and the sense of the supernatural denied them by the Conciliar Church, are especially at risk. A generation of children is growing up thinking of Charismatics as perfectly normal (or even superior) Catholics. I take a broad look at the Novus Ordo movement, and see pretty much every catholic I know, face-to-face, morphing into a lemming so’s they don’t miss the cliff with all the rest – vii-popes included. I can see an addiction to the idea of the ‘church’ even if the idea they are addicted to is simply anti-catholic – I don’t know personally a single ‘catholic’ who is willing hold to Christ’s Truth as it existed for 1900 years. It doesn’t seem to matter. I think bergoglio could make voltaire a vii-saint tomorrow and all the lemmings would have no problem with it. In case anyone missed out on voltaire, he’s the guy who wanted, ‘the complete destruction of the Catholic Church, indeed, even the idea of the Christian’. It’s like Megellan’s ship – when he approached the island, all the natives, who had never seen anything like it simply could not see the ship because it was a reality they could not fathom – at least for a time. Well, in reverse, Novus Ordo Catholics simply cannot see the True Church because fathoming it would mean the Novus Ordo church would sink into falsehood right in front of their eyes and that would be too much to bear. No one likes to be betrayed, and to learn that five decades of self-professed successors of St Peter and countless so-called bishops and priests and respected laymen have been Judas’ of the 1st degree is simply too much – too much if one is not willing to trust that God cannot be overcome and He has made provision for the Faithful, despite the best efforts of voltairian clergy. At any rate, I don’t know about anyone else, but I’m reaching the point where shaking the novus ordo dust off my sandals seems the only thing to do. Yikes; you need to get out more. You don’t have an SSPX chapel anywhere nearby? Would you prefer me to lie, Catholic Thinker? I live in Novus Ordo land, and, at this time in my life, the Good Lord has seen fit that, for the time being, I stay put here, for the time being. I reiterate, EVERY SINGLE CATHOLIC I know these days (I can recall a priest from the past who is an exception), turns a blind eye to the obvious contradictions between the vouchsafed Catholic Faith that was proclaimed by all authentic Popes, Bishops, Priests and Lay throughout the Centuries, and that same Faith now being denied and reinvented – all mentioned Catholics prefer the denial and the reinvention, unapologetically. These things are not hidden. They are not secret. If anyone ‘has ears to hear’, God will not hide the Truth from them. You must be fortunate in the respect, Catholic Thinker, that you obviously know Catholics who know the Faith and don’t spend their lives fudging it and trying to get you to become a faith-fudger. 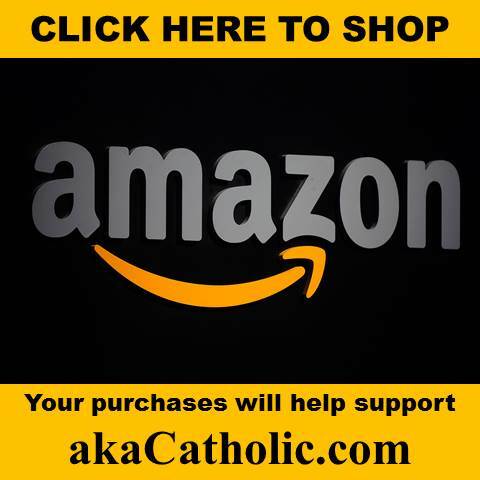 Count yourself in a rare position as regards being Catholic. No need to turn defensive. I do not understand why your remain in NO Land, but I won’t question it. As it is, yes, our chapel is full of people who do understand and live the faith, essentially as average Catholics always did. It is as if the council never occurred – which is the way it should have been! Our previous ICK parish had much the same, but it was not as good as this. I think what some people don’t realise is how very rare access to authentic Catholicism is, and this because authentic Catholics who morphed into a new creature – the novus ordo catholic – simply don’t care, priests and bishops included. And also to assume that everyone is well-healed enough to rush off over a land and sea to the nearest SSPX, unfortunately, is pretty common. I also realise that there will be the occasional other person in my position who might read one of my comments and find it a comfort that they aren’t the only one’s in exile. Salvemur, no assumptions on your healing, really, but I suppose I do need to consider that the Society isn’t everywhere, by any means. For us – 20 minutes. I would certainly encourage you to seek out ICK, FSSP, or Indult Tridentine Masses as well, but I must imagine you have already done so. God bless you in your exile. Try to pray for those people. Don’t let yourself have contempt for them. When encountering the beligerance of the Novus Ordo what I do attempt is to tell the Truth then get the hell out of the way before the bludgeoning comes. Because I do believe that someone sometime might be ready to hear it – and since I know the Truth – simply because I’m not willing to contradict 1900 of plain speaking Faith, and authentic sacraments – so I figure, one day, someone else might too. That said, there is a point when one must walk away from the Novus Ordo. I first went through an RCIA course a long time ago, a very traditional formation it was – I was a foreign resident at the time – and for some reason, the older priest involved with running the course told me, while I was welcome to finish out the course, he would not permit me into the Church – he said I would have to do that in my own country. That, you might imagine, was a bit of a blow – back then I thought ‘if the priest demands it, I’d better do it’. Nonetheless, many years later, when I returned to my own country, I sought entry into the Faith again. For a year the novus ordo priest turned his back on me (quite literally) – he didn’t believe, like his vii-popes, in conversion. The next year, after much rudeness, he allowed me to pariticipate in an ‘rcia’ put together for a woman marrying a, rather important, Catholic in the area. This course was run by a catholic charismatic who taught that there is no such thing as original sin amongst a plethora of other heresies. But I knuckled down because I knew I needed to be baptised at least. After I entered the novus ordo church I was hounded to go against my sensus catholicus for quite some time – to do the whole lector business and participate in liturgy of the word communion and all the novus ordo mess. The more I refused the wierder things became – they need everyone to be as cultish about Novus Ordo as they are – but I hadn’t yet conceded that the novus ordo simply has lost its Catholicism and is what it looks and what I really could see it looked like – protestantism (I should have known since I was raised in various protestantisms). Eventually I had to concede – the Novus Ordo and taking oaths to Vatican II do not please God. Cardinal Suenens was Paul VI’s man to create the ‘catholic charismatic renewal’. Bird’s of a feather. It is apparent that Bergoglio does not know that prayer only has value when it is directed to the Triune God–Father, Son and Holy Ghost. Now, he is asking the lost sheep to pray for him!, As Vicar of Christ on earth, he should be praying for them as a True Shepherd and lead these poor souls back to the True Catholic faith. Sadly, Bergoglio can’t do that because he himself has lost the way.We must pray for his conversion before the damage is irreparable—-if we haven’t already reached that point! This is an excellent point with which to refute his “defenders”! And let’s give him his proper title out of respect for the office. It’s “Father Bergoglio” -at least that’s who he says is calling. I need to add that Suenens was one of the promulgators of redefining marriage. Please read “Close -ups of the Charismatic Movement” by John Vennari. 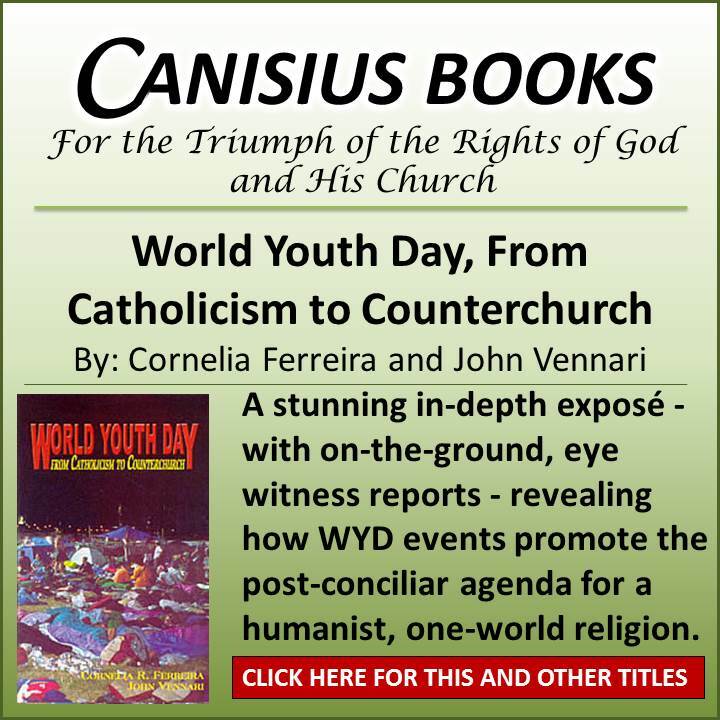 In this book in chapter 3 titled “Suenens versus Humanae vitae” it demonstrates Suenen’s role in pushing to demonstrate the huge disconnect with most Catholics who do not believe that contraception is wrong. He was the one who suggested to a weak Paul VI to set up a 68- member commission to study the birth control issue. In the end, the Commission voted 64 to 4 in favor of changing Church teaching on birth control.Most Catholics believe that Humanae vitae saved the day by not giving in to this wish but it most certainly did not in it’s double speak talk when it gave it’s stamp of approval on having recourse exclusively to the infertile period in order to separate the primary purpose of procreation of children for God’s glory from the secondary purpose of unity of the couple. This inversion of the hierarchy of marriage in this past century and it’s devastation on the Church and it’s doctrines is so crucial to understand. Will people please wake up! The primary purpose of marriage is not love. Love is a fundamental calling of all human beings. We are called even to love our enemies for goodness sake. Of course our Lord’s plan for marriage is prompted by His love for us and we are required to love our spouse. To love is never an option. It is a command.His love for the creation of many souls and His love and wisdom for us to participate in this grand mission of bringing souls to God and to glorify Him is where love comes in but God’s primary purpose for marriage is procreation and education of children for God’s glory which is rooted in God’s love for us. Our Lord’s primary purpose for marriage is not human love. Even if a couple is infertile it doesn’t mean that the primary purpose of marriage changes to something else. It is a cross that the couple will bare and adoption or helping out with raising the abandoned ones is always an option for them and should be embraced. Suenens, the modern theologians and the charismatic movement tried to find a deeper “hippie” meaning of marriage. It tried to be so deep in it’s search that it literally is digging us to the pits of hell with misguided teaching’s on God’s purpose for human sexuality. Humanae. vitae sold out on defending the primary purpose of marriage. Humanea Vitae contradicts Pius XI encyclical Casti Conubbi. Casti Conubbi defends much more strongly the primary purpose of marriage and defends that one can never separate or invert the hierarchy of purposes in marriage for whatever noble reason one wishes to put forth. pretty much all that has come from VII including the about-face on papal primacy, ‘has never been heard of in the Church’, and really doesn’t come from the Church but from the counter-church.